What Do You Learn at Terrorist Training Camp? Some marksmanship, maybe bomb-making, and a whole lot of indoctrination. Faisal Shahzad, the suspect in the failed plot to bomb New York City's Times Square, has told U.S. investigators that he received bomb-making training at a camp in Pakistan's Waziristan region. Given the botched, even amateurish nature of Shahzad's attempt -- he forgot to take the keys to his getaway car, for instance -- many observers are now asking: What exactly does one learn at a terrorist training camp? First of all, today's terrorist training camps are not what they used to be. 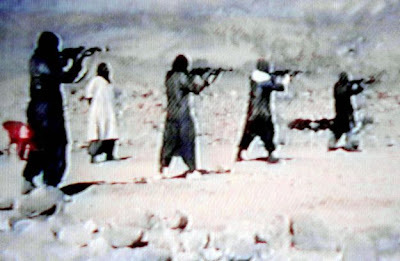 Sprawling al Qaeda camps complete with such amenities as firing ranges, like Tarnak Farms near Kandahar, Afghanistan, where Osama bin Laden is believed to have plotted the 9/11 attacks, are largely a thing of the past. Today, al Qaeda outsources most of its training to Pakistani outfits like Tehrik-e-Taliban Pakistan (TTP) and Lashkar-e-Taiba (LET), the group believed to be behind the 2008 Mumbai attacks. The camps these groups run are often small, just one or two buildings, and temporary -- such groups stay on the move to avoid detection by satellite or intelligence agents. These groups are believed to be increasingly sharing resources when it comes to training. According to some estimates, there are about 40 militant training camps around Pakistan.